Spanish Immersion Lessons. Our language courses abroad give you the opportunity to immerse yourself in the Spanish language while volunteering on some pretty amazing projects which focus on improving the social welfare of disadvantaged communities. Spanish Immersion Lessons with A Broader View. Buenos días y bienvenido a A Broader View! – Hello and welcome to A Broader View! Spanish Immersion Lessons….Our latest blog post is all about our Spanish language volunteer programs, which we offer in nine fantastic destinations across South and Central America! Spanish is the second most widely spoken language on the planet, with 437 million people communicating in Spanish, predominantly across Spain and South America. But did you know that the United States has more Spanish speakers than Spain? With 41 million native speakers plus 11 million people who consider themselves bilingual, the US is the world’s second-largest Spanish speaking country after Mexico! Our language courses abroad give you the opportunity to immerse yourself in the Spanish language while volunteering on some pretty amazing projects which focus on improving the social welfare of disadvantaged communities. The single best way to learn Spanish is to surround yourself with it. From lessons with a native Spanish speaker and staying with a local host family to participating in a locally run project, our Spanish volunteer opportunities will have you thinking and dreaming in Spanish before you know it! If you want to learn Spanish and work abroad at the same time, our immersion programs are flexible so you can combine the two! Lessons take place from Monday to Friday, with the remainder of your day spent volunteering at your chosen project. 14:00 PM to 17:00 PM Spanish lessons or afternoon volunteer work. Our learn Spanish abroad programs range from one week up to one month, although you can purchase more lessons locally if you like! Learners at all levels are welcome, so whether learning Spanish abroad for mature adults is what you’ve been looking for, or you’re a student, backpacker or retiree, you will be very welcome on any of our language volunteer programs. After a short placement test to determine your level of Spanish, you will be immersed in language learning for seven hours a week at our San Jose base, or eight hours a week in our Escazu base. 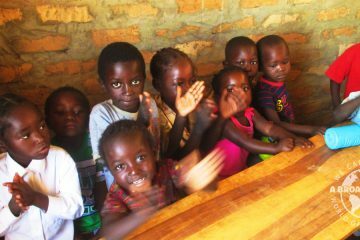 Our language program in San Jose can be combined with the orphanage, daycare, pre-medical/nursing and medical projects. 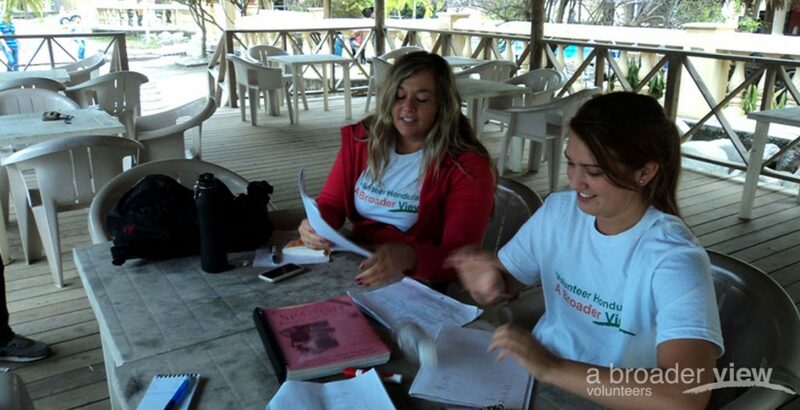 In Escazu, language learning can be done in conjunction with any of the volunteer projects on offer. From sloth conservation to volunteering in a daycare center, there’s plenty to choose from! How to learn Spanish fast? Build on your knowledge every day in a one-on-one environment. That’s precisely what we offer in La Serena in Chile: local tutors who provide daily, customized, individual classes (or for a maximum of two students). Lessons are also created with your input, which means the tutor will work to achieve your personal language goals. Spanish classes can be combined with our orphanage project, or our popular teach English abroad program. You will be learning Spanish for a total of 12 hours five days a week and volunteer for 20 hours five days a week. If you want to learn Spanish and volunteer in South America, historic Cartagena is a great choice. An old port city on Colombia’s tropical Caribbean coast, the city’s cobblestone streets and colorful colonial buildings are big attractions – and have we mentioned the white sand beaches? 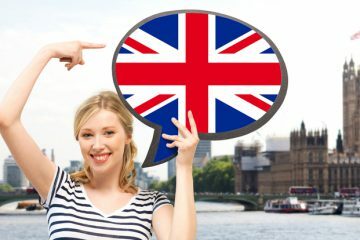 Your language learning (20 hours a week) will take place in the afternoon, with mornings free to work on your volunteer project (also 20 hours a week). Spanish classes can be combined with our social welfare or children’s care center volunteer programs. We also offer volunteer work in Spanish in Honduras, one of Central America’s less touristy destinations. A vibrant and fascinating country for the more intrepid traveler, Honduras has tropical rainforest, ancient Mayan ruins, excellent dive sites and over a dozen national parks. It’s also one of the cheapest countries in the region, so you’ll get more bang for your buck! Based in La Ceiba, you’ll be learning Spanish and volunteering for 20 hours a week each. You will develop your language skills in customized classes in a comfortable one-on-one environment (or a maximum of two students). Your Spanish classes can be combined with any of our La Ceiba based volunteer projects, such as teaching, (pre)medical and orphanage support. Take your pick from two fantastic Peruvian destinations: Arequipa or Ayacucho! Arequipa has three volcanoes, historic colonial buildings and (best of all) locals who speak slowly with a clear accent! Arequipa isn’t particularly touristy either, which means you’ll be surrounded mostly by Peruvians instead of English-speaking foreigners. Our language immersion program in Arequipa can be combined with any of our Cuzco-based volunteer projects such as teaching, (pre)medical and orphanage support. Spanish classes in Ayacucho can be taken in conjunction with any Ayacucho-based volunteer programs. Peru also provides the perfect opportunity for Spanish language holidays for adults, students and senior citizens alike! Why not tie a volunteer vacation with A Broader View into a once-in-a-lifetime trip to Machu Picchu or the Amazon jungle? Here at A Broader View, we aim to connect you with the best Spanish language schools. Our language school in Quito, Ecuador offers a variety of fun extracurricular activities to stimulate your learning, such as tropical dancing, cooking lessons, cocktail making classes, movies, lectures, soccer games and trips to other cities, towns and national parks! Language classes can be combined with any of the Quito-based volunteer abroad projects, including teaching, (pre) medical Students and orphanage support. In tropical and diverse Guatemala, we offer language immersion classes in Antigua alongside our children’s support volunteer program, and in Quetzaltenango (also known by its Maya name Xela). Set against a backdrop of volcanoes, including an active lava dome, Quetzaltenango is a beautiful place to volunteer, and a great place to learn Spanish! Language classes can be combined with the children’s teaching or medical projects we offer. Learning a language abroad is best done when you’re having fun! That’s our aim in Cordoba, Argentina, where local tutors take their lessons outside the classroom and into the squares, shopping malls, and bars to provide that all-important context behind Spanish grammar and vocabulary! The language immersion program can be combined with volunteer opportunities with our children’s special needs center, dog shelter, youth disability center and radio journalism program. Famous for volcanic landscapes, sensational beaches, great surf, colonial architecture and dense rainforest, Nicaragua knows how to deliver the goods. Explore this beautiful part of the world by combining your Spanish classes with volunteer projects at our Managua base (teaching, orphanage, midwifery and women’s support center). Fancy a taste of Nicaragua without the Spanish? We also offer placements in Granada at a school, girl’s orphanage or day care center for children. ¿Cuánto cuesta? How much does it cost? If you’re thinking about volunteering in Spanish speaking countries with us, you can see a full breakdown of our fees right here. We believe the best life lessons stem from hands-on work and experience, and we aim to make this experience as affordable as possible. While we can’t offer to volunteer abroad for free, as a registered charitable non-profit organization, US taxpayers’ program fees, and related travel expenses are tax deductible. If you’re not a US citizen, don’t worry – find out how fundraising can cover the cost of your trip. The great thing about A Broader View is that anyone is welcome! Our alumni range from the ages of 16 to 85 and come from all over the world (to date we’ve had participants join us from 30 countries!). We’ve been up and running for over a decade and work hard to nurture our strong relationships with our global partners. Questions? We’re always happy to chat, so feel free to get in touch! 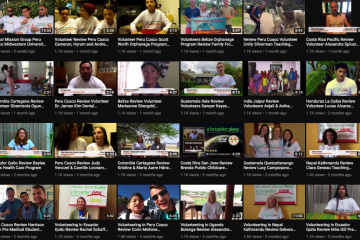 Volunteer vacations abroad: calling all families, seniors and solo travelers!